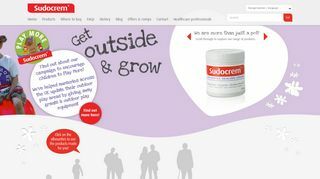 Sudocrem is a wonder of the baby world, it is so fast acting and good for babies bums and rashes, it really is second to none. I have used it from day one for my children and my parents even used it on me, there is always a few big pots of this in our household, it can be used for absolutely anything and I do use it for lots of things daily. I would never consider using some other similar cream other Sudocrem, in my opinion this is numero uno. I bought one tub of Sudocrem for my eldest son it was for two years and it worked magically it heals baby bums so quickly one time apply is enough.